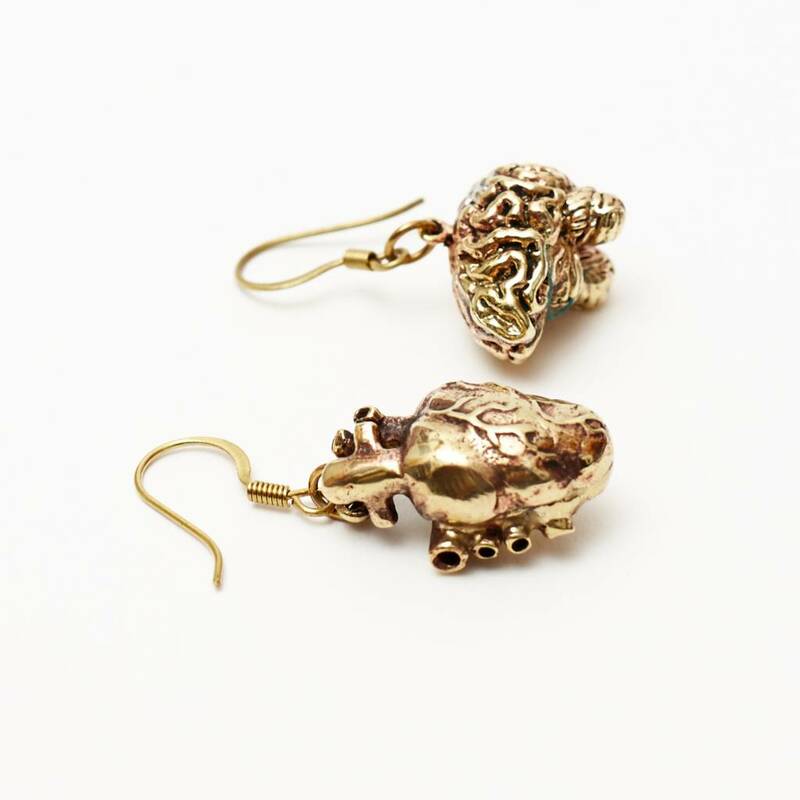 Anatomical heart and brain in 100% brass. 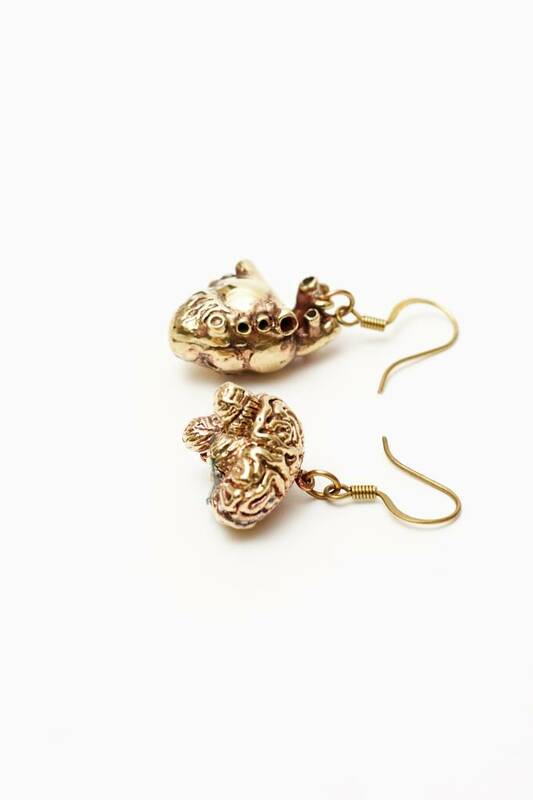 For those who are equal parts lover and thinker, these anatomical heart and brain earrings are a perfect match. 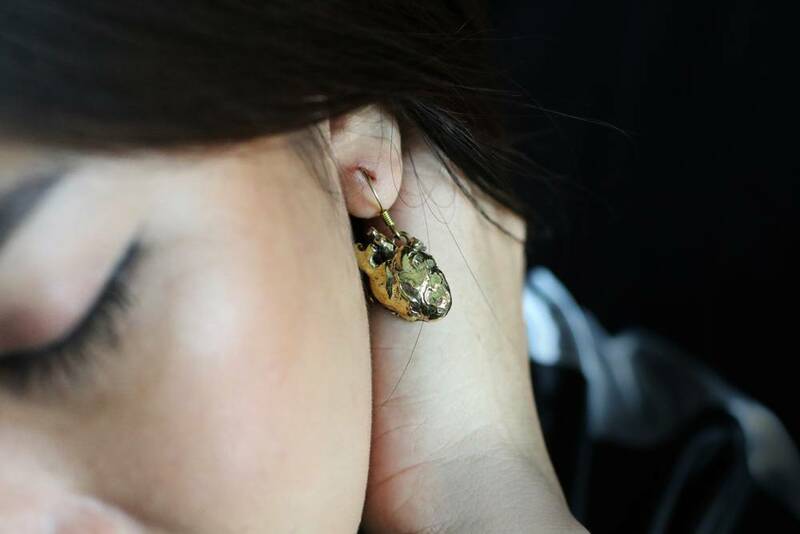 Unique, quirky and handcrafted in 100% brass. From Migration's in-house line and made in small batches, each one is unique and nickel free.